NEWPORT MESA UNIFIED SCHOOL DISTRICT. Administrative Law Judge (ALJ) Clara L. Slifkin, Office of Administrative Hearings (OAH), State of California, heard this matter on April 4 and 5, 2011 and on June 1, 2011, in Costa Mesa, California. Bruce Bothwell and Cecilia Chang, Attorneys at Law, represented Student. Student’s mother (Parent) attended all three days of hearing. 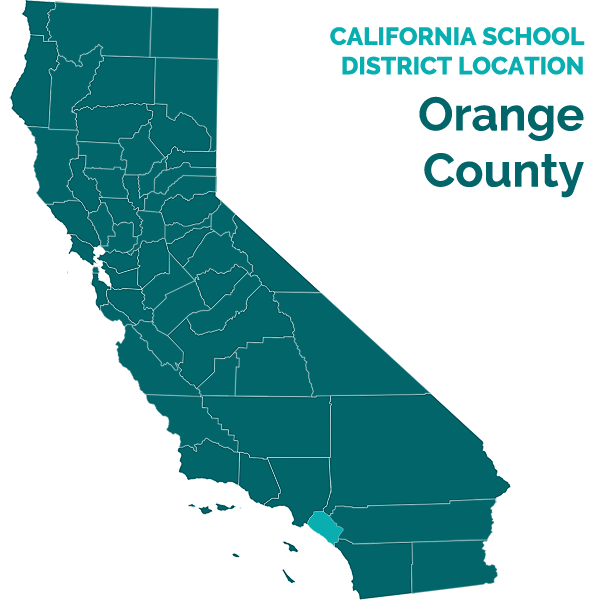 Newport Mesa Unified School District (District) was represented at the hearing by S. Daniel Harbottle, Attorney at Law. Ann Huntington, Director, Special Education, attended all three days of hearing. Student filed his Due Process Hearing request (complaint) on July 28, 2010. On November 24, 2010, OAH granted Student’s request to file an amended complaint. OAH granted a continuance for good cause on January 19, 2011, and on April 5, 2011. At the conclusion of the hearing the matter was continued to July 1, 2011, to permit the filing of written closing arguments. The parties timely filed written closing arguments, at which time the record was closed and the matter was submitted. 3. Offer a home-based behavior program to meet Student’s unique needs. 1. Student is a seven-year-old boy who resides with his parents within the jurisdictional boundaries of the District. He qualifies for special education services under the category of autistic-like behaviors. 2. Student enrolled in the District in September 2006 for preschool, where he attended a special day class (SDC). Parent noticed social skills deficits in Student. As a result, in September 2007, Parent retained Creative Solutions for Autism (CSA) to assess Student’s social skills. CSA was a non-public agency (NPA) certified by the California Department of Education to provide behavioral services to special needs children, generally in the form of ABA therapy. After conducting an assessment, CSA recommended that Student attend CSA social skills classes, which Parent funded. During the 2007-2008 school year, District funded five hours a week of CSA home behavior services. During the spring and fall of 2008, CSA provided five hours a week of parent consultation and training to help Parent manage Student’s behaviors. 1 At the PHC on March 16, 2011, Student withdrew issue one of his amended complaint, which alleged that the District had denied him a FAPE by failing to implement his individualized education program. On the first day of hearing, Student withdrew the following issues: Whether District denied Student a FAPE at the May 18, 2010 and June 23, 2010, IEP meetings for the 2010-2011 school year by failing to offer: an extended school year program; any adaptive physical education (APE) services; two 45-minute sessions per week of clinic based occupational therapy; and 30-minutes per week of individual speech and language therapy. 2 The ALJ has revised the issues without changing their substance, for purposes of clarity and organization of this Decision. 3. In September 2008, Student began attending a kindergarten SDC, but in November 2008, Parent privately placed Student in kindergarten at Shoreline School with “shadow” aide services provided by CSA. In February 2009, Student returned to District and he was placed at Eastbluff Elementary School (Eastbluff) in a general education classroom with a one-to-one ABA aide from CSA and one hour a month of support from District’s Autism Specialist, Bonnie Hinton (Hinton). Student also received speech and language therapy and occupational therapy services. 4. District convened Student’s Triennial IEP team meeting on June 3, 2009. All statutorily mandated individuals attended. Based upon the findings and recommendations in a Multidisciplinary Psychoeducational Report, the IEP team agreed that Student continued to meet eligibility for special education services under the disability category of autistic-like behaviors. The IEP team identified Student’s unique needs in the areas of language, pragmatics, social skills, functional fine motor skills, sensory processing, gross motor development, and behavior. The team also noted that Student continued to exhibit extreme preoccupation with objects or the use of objects or both; extreme resistance to controls; peculiar motor mannerisms and motility patterns; and self-stimulating, ritualistic behavior. The IEP team developed goals and objectives in each area of need. 5. For the 2009-2010 school year, the IEP team offered Student placement in a general education first grade class at Eastbluff, and designated instruction and services (DIS) as follows: (1) speech and language therapy (LAS) push-in direct individual and pull-out direct individual and/or small group each, one time weekly for 30 minutes; (2) LAS collaboration once per month for 30 minutes; (3) occupational therapy (OT) direct individual, two times weekly for 30 minutes; (4) OT collaboration once a month for 30 minutes; (5) APE direct group, one time weekly for 30 minutes; (6) Resource Specialist Program (RSP) pull-out direct individual, three times weekly for 30 minutes; (7) RSP pushin direct individual, three times weekly for 30 minutes; and (8) Extended School Year (ESY) at Camp Friendship. To target Student’s behavior, the team offered a District independence facilitator (IF), meaning an ABA-trained aide, in Student’s classroom all day (30 hours a week) and 60 minutes per month of support and collaboration through the District’s autism specialist. 6. At the June 3, 2009 IEP meeting, Parent voiced her concern about the offer of only one hour a month of autism specialist collaboration because Student had not met any of his five behavior goals and his three social emotional goals. Parent requested a CSA home and school program because Student regressed at home, and had behavior problems and anxiety at school. She was also concerned about the inconsistency of Student’s behavior program with different aides across all settings. She reported that Student’s different aides during his brief stay at Eastbluff resulted in inconsistent strategies to address his behaviors. 7. Parent consented to the goals, and District’s offer regarding RSP, OT, LAS and APE. However, Parent disagreed with District’s offer of IF support for 30 hours a week, autism specialist collaboration once a month for 60 minutes, and ESY at Camp Friendship. She requested a CSA home program for ten hours a week with two hours of supervision; a CSA aide in Student’s class instead of District’s ABA aide; and bi-monthly clinic meetings with all of Student’s service providers. For ESY, Parent asked that District provide 120 hours of a CSA aide and two hours of supervision to support Student in a typical peer camp program. Parent also requested retention. District declined Parent’s request, and elected not to modify its offer of placement and services. However, District did agree to calendar a retention committee meeting to address Parent’s retention request. 8. In a separate proceeding, Parent filed a due process complaint on June 12, 2009, disputing parts of the June 3, 2009 IEP. Pursuant to the terms of a Settlement Agreement reached September 6, 2009, the parties agreed as follows: (1) placement in a general education class at Eastbluff; (2) District IF for the entire school day; (3) five hours a week of ABA home intervention provided by CSA; (4) eight hours per month of ABA supervision by CSA without a distinction between “direct” or “indirect”; (5) 10 hours of initial aide training through CSA; (6) two hours a month of clinic training by CSA; and, (7) to convene an IEP team meeting, no later than June 3, 2010, to discuss ESY as well as placement and services for the 2010-2011 school year. 9. During the 2009-2010 school year, Student continued at Eastbluff and was retained in kindergarten. As further explained below, Student made good progress on his academic goals but his progress on behavior goals was inconsistent. 10. From 2007 through the 2009-2010 school year, Asha Bhakta, Associate Director of CSA (Bhakta), assessed, devised behavior strategies, and helped Student to improve his behavior and social skills. Bhakta, who provided testimony at hearing, graduated from University of California, Irvine in 1999 with a bachelor of arts in psychology and social behavior. She received a master of arts in behavioral analysis from the University of Nevada, Reno in 2004. From 1999 through 2004, she was employed as a senior behavior therapist at the Center for Autism and Related Disorders (CARD). From 2004 through 2006, she was employed as a supervisor at CARD. From 2006 to the present, she has been the Director of CSA, which provides families and districts with ABA therapy. She also developed home programs, and supervised behavior assistants who worked one-to-one with individuals. Bhakta had over 12 years of experience in evaluating, developing and supervising ABA therapy. 11. During the 2009-2010 school year, Bhakta supervised Student’s CSA behavior program at home and at school, monitored Student’s school program and worked with Student’s IF and District autism specialist Hinton. Specifically, Bhakta supervised Student’s five hour per week home-based program. At school, she provided eight hours per month of supervision, observing Student’s classroom behavior twice a month, collaborating with Hinton to formulate and design strategies to extinguish Student’s maladaptive behaviors, and attending monthly clinic meetings. At school, Student’s IF kept daily logs listing Student’s activities; positive behaviors observed; positive behavior comments; inappropriate behaviors observed; and inappropriate behavior comments. Bhakta carefully reviewed the IF’s logs. Using the information from the logs, and her observations, Bhakta meticulously prepared monthly reports and charted Student’s Physical Self-Stimulatory Behaviors (Physical SSBs),3 Student’s Verbal Self-Stimulatory Behaviors (Verbal SSBs),4 and his noncompliant behaviors. 12. Bhakta presented her written reports on Student’s progress toward his 20092010 behavior goals at monthly clinic team meetings. Each month Hinton prepared clinic notes that were reviewed and approved at subsequent meetings. Generally, Parent; Dr. Lori Williams, coordinator of District’s Autism Program (Williams); Kristy Becker, school psychologist (Becker); Hinton; Bhakta; RSP teacher Lori Delgado (Delgado); OT Karissa Somers (Somers); and Student’s general education kindergarten teacher Sara Nourse (Nourse) attended the monthly clinic meetings. 13. Bhakta’s January and February 2010 reports traced Student’s progress on his replacement behavior goal, which required Student to use replacement behaviors instead of engaging in self-stimulatory behaviors. Specifically, the present levels of functional performance as written on June 3, 2009, indicated that Student engaged in inappropriate behaviors such as repetitive noises, actions with his fingers, mouthing inedible and unacceptable items such as chewing on his fingers, licking his arms and chewing on pencils, etc. As a result, the IEP team developed a goal stating that during structured and unstructured activities, Student would use an appropriate replacement activity (fidget toys, approved oral motor tubes, pencil toppers, etc.) instead of mouthing inedible objects, licking himself, chewing on fingers, and engaging in repetitive noises with 85 percent accuracy with no more than one prompt from an adult. As benchmark objectives, the team required Student to use appropriate replacement activity with 75 percent accuracy with three to four prompts from an adult by November 13, 2009, and with one to two prompts by March 12, 2010. Bhakta’s January 2010 report showed that from December 2009 through January 2010, Student’s progress towards his replacement behavior goal decreased from 73 percent to 40 percent, indicating an increase in his maladaptive behaviors. Bhakta’s February 2010 report showed that Student’s replacement behavior again decreased from 40 percent to 38 percent. In March 2010, Student’s progress towards his replacement behavior goal increased to an average 40 percent. Although Student made some progress on this goal, at the time of Student’s annual IEP in May 2010, he had not met this goal. 3 A physical SSB is defined as an episode of inappropriate and repetitive movements such as flapping his hands up and down on his sides, bringing inedible objects to his month, flicking fingers at the side of his body and or across his eyes separated by 10 seconds of nonoccurrence. 4 Verbal SSB is defined as episodes of inappropriate vocalizations and or perseverations on familiar phrases (from video, musical games, etc.) separated by 30 seconds of non-occurrence. 14. At the March 18, 2010 clinic meeting, Nourse shared that Student’s attitude was better because the cues had been pulled back and she was still working on Student’s selfcontrol. She also reported that he was running a lot from place to place. To improve Student’s behavior, District autism specialist Hinton devised new strategies to train Student’s aide to increase the use of non-verbal cues to redirect his SSBs. The group agreed to change reinforcement regarding his physical/oral SSBs. For example, non-verbal cues to redirect his SSBs and to remind him of sensory strategies and non-verbal cues to be used twice before switching to direct verbal cues. 15. In April 2010, Bhakta’s monthly report and Hinton’s clinic notes stated that Student’s maladaptive behaviors increased. At the April clinic meeting, Student’s teacher voiced her concern about an increase in Student’s self-talk, inappropriate vocalizations and perseverations on familiar phrases from videos or musical games. Bhakta reported that she observed an increase in Student’s protesting and disappointment. Other members of the clinic team noted an increase in Student’s facial grimacing when complying with directions. Student replaced mouthing inedible objects with rubbing his eye and developed new behaviors of smelling and tasting hair. Student continued to require redirection to remove objects and/or his fingers from his mouth and use an appropriate activity or item. 16. In sum, Bhakta reported that from October 2009 through April 2010, Student’s Physical SSBs, Verbal SSBs, and noncompliant behaviors increased. She concluded that because the SSBs and behaviors had increased, Student was not making progress. Specifically, in October and November 2009, the frequency of his physical SSBs were between zero and three SSBs per hour and these behaviors consistently increased to a high of 18 per hour in March 2010. From November 2009 through December 2009, the frequency of his verbal SSBs was between zero and five per hour. The frequency consistently increased to a high frequency of 22 per hour in March 2010. Student’s noncompliant behaviors from October 2009 to April 2010 also increased. From October through December 2009, the frequency of his noncompliant behaviors was between zero and 12 per hour. The frequency consistently increased to a high frequency of 18 per hour in February 2010. 17. In addition to his replacement goal, Student did not meet two other goals, attention to task and maintaining impulse. The goal developed by the IEP team regarding attention to task was that Student would independently participate in 15 minutes of direct group instruction, (i.e., sits appropriately, eye contact with teacher or class materials, answer questions) on four of five days with 80 percent accuracy. The goal developed by the IEP team regarding maintaining impulse was when given a rule by an adult (i.e., do not sniff marker, do not play with scissors in an unsafe manner), Student would independently continue to follow the rule for five minutes or until the natural completion of the activity across 80 percent of charted opportunities. 18. During the 2009-2010 school year, Student had a full time District ABA aide. CSA provided eight hours a month of supervision and five hours per week of home-based behavior services. Bhakta supervised Student’s behavior program at school and at home. She supervised Student’s in-school program six hours a month: three hours at school observing Student’s program and working with Student’s aide; one hour attending a clinic meeting; and two hours analyzing data, writing reports, training and collaborating with Hinton. She supervised Student’s in-home program two hours a month. As described below, Hinton also provided direct supervision to Student and his aide, plus two hours a month of indirect supervision. With this behavior program, Student met six of his nine behavior goals, however, his behavior was sometimes erratic and some physical and verbal SSBs increased. 19. Bonnie Hinton (Hinton) is employed by District as an Autism Specialist. She graduated from California State University, Long Beach (CSU Long Beach) with a bachelor of arts in liberal studies. She received a master of science from CSU Long Beach in special education. She holds a Level II Education Specialist credential. 20. From 2001 through 2005, Hinton was employed by the Greater Anaheim SELPA as an in-home Behavioral Therapist and Classroom Assistant. From 2005 to 2006, she was employed by Cypress School District as an ABA special education teacher. From 2006 to the present, she was employed by Coast Speech Pathology and Associates as a behavior specialist. Her duties include consulting with speech pathologists, developing and implementing an ABA program, collecting and analyzing data, and designing instructional materials and lesson plans. 21. From September 1, 2009 to the present, District employed Hinton as an autism specialist. Her duties for District are to supervise the implementation and development of behavior programs for individual support for students with autism. This includes collecting, analyzing, and maintaining data, attending IEP meetings, writing goals, consulting on goals, developing strategies and implementing goals. She also trains District teachers, and District paraeducators in ABA techniques. As a case carrier, she supervised and taught staff, and as a specialist, she supervised teachers. She worked at six schools, directly supervised behavior system and data collection of 20-25 students and worked with school psychologists. Although she studied, trained others, and consulted in ABA techniques, she was not a Board certified behavior analyst (BCBA). She was a member of the team that addressed Student’s self-stimulatory behaviors, such as rocking back and forth, twirling, placing his fingers or pencil into his mouth, and self-talk. 22. Since August 2009, Hinton supervised Student’s 30-hour-a-week behavior program. She was responsible for supervising data collection, discussing interventions, tracking data on all goals, sending home reports, writing clinic notes, and visiting Student’s school campus once a week. Specifically, she visited Student once a week; escorted Bhakta to Student’s classroom three times a month; reviewed, graphed and summarized Student’s data weekly, and memorialized this information in a report; and spent direct time with his aide. She observed Student’s home-based program twice, once during the 2009-2010 school year and once during the 2010-2011 school year. Although Student’s IEP specified that she was to provide one hour per month of supervision, when Student’s program needed more time, she spent more time on it. Specifically, although she spent one hour a month directly supervising Student, she spent another two hours a month reviewing data, writing notes for his aide, attending clinic meetings, and writing reports. 23. Through May 2010, half of Hinton’s case load would be categorized as intensive, meaning that the students required two to three hours a month of her supervision. She acknowledged that Student needed intensive supervision. If District asked her to spend more time supervising Student’s aide, she had the time to supervise. 24. Hinton persuasively testified that from her observations, Student was doing very well socially and academically during the 2009-2010 school year. He conversed and spent time with his friends. His behavior was his biggest challenge. In her opinion, his selfstimulatory behavior did not interfere with academics or his socialization. However, she opined that unless remediated, Student’s self-stimulatory behaviors would make it difficult for him to remain in a general education class. 25. At hearing, Hinton acknowledged that at the time of the May and June 2010 IEPs she was concerned about potential factors that could affect Student’s progress on his behavioral goals in the beginning of the 2010-2011 school year. She testified that those factors included: Student’s transition to a higher grade level; a new classroom; some new peers; and his exposure to an advanced curriculum for the first time in two years, due to his retention in kindergarten during the 2009-2010 school year. 26. Hinton explained Bhakta would directly supervise Student’s aide at school, and spent three hours a month at school working on his school behavior program. If Bhakta observed unusual behaviors, the aide would discuss her concerns with the team or consult with the school psychologist. Hinton criticized Bhakta’s supervision of Student’s in-home program based on her observation that Bhakta failed to focus on Student’s behavior and worked with Student on his homework. 27. According to Hinton, home-based behavior services are designed to teach skills students are not accessing during the school day. She opined Student had mastered numerous social skills by the time of the May 18, 2010 IEP, and the CSA home program had included homework completion rather than behaviors. She persuasively testified that Student’s in-home program was not required for Student to receive educational benefit. 28. In March 2010, Parent requested an IEP team meeting to discuss eliminating Student’s RSP services. The IEP team met on March 25, 2010, and started with a discussion of Student’s progress on his goals. The progress report was amended to reflect that he had met his behavior goal in safety awareness. The team noted that Student met all of his academic goals in the areas of math and writing and did not need the extra academic support of RSP services. The IEP team agreed to discontinue all RSP services until Student’s annual IEP in the spring. The team also agreed that Hinton would be added as the person responsible for reporting progress to the IEP team on his behavior goals. 29. District convened Student’s annual IEP on May 18, 2010. The IEP team consisted of (1) Mother; (2) Father; (3) Principal Cheryl Beck, Administrator (Beck); (4) Mary Shields, Zone Coordinator; (5) Nourse; (6) Lila Seldin, special education and speech and language pathologist (Seldin); (7) Becker; (8) Williams; (9) Hinton; (10) Jann Merithew, Adapted Physical Education (APE) teacher (Merithew); (11) Karissa Somers, OT (Somers); and (12) Bhakta. The team acknowledged Student’s eligibility category of autisticlike behaviors and discussed progress on his goals. Student made progress and met his goals in the areas of speech and language, sensory processing, math and self-help. Although he made progress, he did not meet his goals in the areas of writing, fine motor, and gross motor. In addition, he met six out of his nine goals in behavior. Specifically, Student met his behavior goals in three-step directions, compliance, frustration tolerance, impulse control, keeping hands to self, and safety awareness. He did not meet his goals in attending to task, maintaining impulse and replacement behavior. In addition, Student achieved 60 percent of his replacement goal to use an appropriate replacement activity instead of mouthing inedible objects, licking self, chewing on fingers, or making repetitive noises with 85 percent of charted opportunities. Student’s teacher stated that Student’s behavior presented his greatest challenge to his academic growth. 30. The team discussed and proposed new goals. Specifically, the team developed four speech and language goals, one sensory goal, and two fine motor goals. The team also developed four new behavioral goals for Student to work on in addition to the three behavior goals he failed to meet from the 2009-2010 school year. The first goal addressed Student’s independent participation in group instruction (i.e., sits appropriately, eye contact with teacher or class materials, answer questions) for an average of 13 minutes. The second goal addressed Student’s impulse control during independent and or/leisure activities. Specifically, the goal required Student to refrain from his impulsive and self-stimulatory behaviors (i.e., grabbing items, inappropriate personal touching, inappropriate smelling of items, rocking in chair, placing fingers and objects in his mouth, self-talk) when given a rule, and required to independently follow the rule for seven minutes, 80 percent of charted opportunities. The third goal addressed multi-step directions in class. Because Student engaged in verbal self-stimulatory behaviors an average of 12 times per hour and physical self-stimulatory behavior an average of six times per hour in structured activities, and 12 times per hour in unstructured activities, the team proposed a fourth goal to reduce selfstimulatory behaviors. Specifically, the goal required Student, when given instruction and support on appropriate replacement behaviors, to reduce verbal behaviors to 1.2 per hour, physical behaviors to .6 per hour during structured activities, and to 1.2 behaviors during unstructured activities. 31. District members then offered Student placement in a general education first grade classroom at Eastbluff; individual District ABA in-class services for 30 hours a week; clinic group consultations for 45 minutes per month; autism team support from the autism specialist (collaboration) for eight 60-minute sessions from September 7, 2010 to October 31, 2010, and then reduced to 60 minutes a month from November 1, 2010 to May 17, 2011; language and speech therapy; and OT services. District members did not recommend NPA behavior services, and stated they were confident that Student would be able to meet his goals with a school-based program. According to Hinton, the District IEP team members took the position that home-based behavior services were designed to teach skills which children are not accessing during the school day. Thus, because Student had mastered numerous social skills by the time of the IEP, and the CSA home program had included homework completion rather than behaviors, a home program was not required to provide Student a FAPE. 32. At the IEP meeting, Parent voiced her concerns about District’s offer of reduced behavior services, because she asserted that Student continued to have significant behavior deficits. She explained to the team that at home, Student took his clothing off, cheated at games, and spent a lot of time in the bathroom. She was also concerned about Student invading other people’s personal space by getting close and speaking in a loud voice. District members tried to assure Parent that Student did not undress, linger in the bathroom or invade others personal space at school, and would work on other concerns within the social scenarios goal.5 In response to District member proposals, Parent asserted that Student continued to need home and school-based NPA services from CSA, and asked that Bhakta be included in developing Student’s behavior goals. Parent did not consent to this IEP. 33. Bhakta attended Student’s May 18, 2010 IEP, but did not voice objections to the team’s proposal to cut supervision hours and eliminate CSA services. Bhakta also did not make any suggestions for goals at the meeting. 34. At Parent’s request, District convened an IEP meeting on June 23, 2010 to discuss Student’s aide for the 2010-2011 school year and aide support. The IEP team consisted of (1) Parent; (2) Hinton; (3) Beck; (4) Lori Delgado, RSP teacher; (5) Nourse; (6) Seldin; (7) Becker; (8) Williams; (9) Merithew; and, (10) Somers. At the meeting, Parent asked to change Student’s aide to someone new, in order to facilitate fading Student’s reliance on the aide and increase Student’s independence. In addition, Parent wanted a male aide to address Student’s behaviors in the bathroom, as well as to facilitate social interaction with male peers. In response, District team members voiced their concern about changing Student’s aide, because he had a new aide during 2009-2010 school year, and did not want to subject Student to another change for the 2010-2011 school year. The team confirmed that aide assignments would not be finalized until August when aide training was completed. 35. Once again, Parent voiced her concern about the team’s offer of one hour of autism specialist supervision per month because a new aide would need more autism specialist support to learn new systems. With the decreased supervision hours, Parent was also concerned about Hinton’s availability to answer an aide’s questions. The team indicated that the offer remained four hours for the first two months of the school year to implement new systems, work on data collection, and orient Student’s new teacher. However, it was discussed that if the team was looking at possible aide changes the team “should consider” an increase in aide support as a new aide would be required to learn new systems for Student. The team indicated that this determination could be made the second or third week of August when an aide was assigned to Student. 5 One of Student’s goals in speech and language is entitled social scenarios. Student was to observe how his verbal and nonverbal behaviors impact his peers and to work on his transitions from class to class. 36. Parent had requested a male aide to assist Student in the bathroom, because she believed that he was engaging in self-stimulatory behavior by dawdling and playing in the bathroom. However, Student’s teacher and Hinton testified that they never observed, nor did Student’s aide report that Student was behaving in this manner in the bathroom at school. District staff suggested that if Student was delayed in the bathroom, male staff would be called to retrieve Student. Parent’s testimony did not persuasively establish that Student required a male aide for the bathroom. Similarly, Student failed to provide any evidence that demonstrated that at any time Student required a male aide to assist in social interactions with male students, let alone that without such a male aide Student would not be able to access his education and make progress on his goals. 37. Although Parent hoped at the June 23, 2010 IEP meeting that the team would be able to identify Student’s aide for the next school year, agree to assign Student a new male aide unknown to Student, and increase autism specialist supervision hours, the IEP team postponed these decisions until August. In August 2010 after District aide training, Williams assigned a new female aide to Student. Williams tried to schedule a meeting with Parent to meet Student’s new aide but Parent did not return her phone calls. Williams met with Hinton to discuss whether to introduce Student to his new aide. Williams explained that they decided that Student should be introduced to his aide, because Student was not ready for fading and the large amount of data to be compiled by his aide. An IEP team meeting was not convened to discuss increased aide supervision to support training the new aide. 38. Because of Bhakta’s training and her work with Student for several years, she was generally a credible and knowledgeable witness about his program. She supervised the implementation and development of Student’s behavior program. This included collecting, analyzing, and maintaining data, attending IEP meetings, writing goals, consulting on goals, developing strategies, and implementing goals. At Student’s school, she provided two to three hours of direct supervision a month, attended clinic meetings, trained Student’s aide and wrote reports. Because of the time Bhakta spent supervising Student’s programs, she understood his behaviors, triggers, and had a thorough understanding of Student’s behavior at home and at school. As discussed below, Bhakta was not persuasive on all points. 39. Bhakta opined that the IEP team’s recommendation to significantly cut supervision by eliminating the CSA school and home programs for the 2010-2011 school year was inappropriate to meet Student’s needs. She was concerned about Student’s safety, social needs, and self-stimulatory behaviors. 40. At hearing, Bhakta opined that one hour of supervision per month was not enough time to maintain Student’s comprehensive 30 hour a week behavior program but that a total of six to eight hours, consisting of four hours of direct supervision and two to four hours of indirect supervision would be appropriate. She explained that as a supervisor, Hinton was responsible for observing Student, directing the IF, devising behavior strategies to extinguish Student’s maladaptive behavior, reviewing data, writing reports, and attending a one-hour clinic meeting a month. 41. Regarding Student’s behavior, Bhakta explained that what was consistent about Student was his inconsistency. As one of his behaviors would be extinguished another maladaptive behavior would replace it. For example, when his physical SSBs changed, he developed a different behavior, flicking his fingers. When Student’s behavior changed, Bhakta would change operational definitions and devise new strategies. New behaviors included poking a pencil in his eye and scratching his back with a pencil. His oral self-stimulatory behaviors also continued, and he would repeat statements. His physical self-stimulatory behaviors also continued, such as physically rocking or twirling, and diving onto carpet. Bhakta concluded that Student had been making some progress until spring of the 2009-2010 school year, when his noncompliant behaviors increased. He continued to protest and roll on the floor and he was not able to complete a multi-stepped direction. 42. At hearing, Bhakta voiced her concern about Student’s safety. Because he failed to meet his goals in maintaining impulse control and finding replacement behavior, she concluded that he had difficulty complying with rules, and when frustrated he was impulsive, and touched other students. She opined that Student’s maladaptive behaviors would increase when Student attended first grade, with a new teacher, a more academic curriculum, and a new aide. She concluded that because of Student’s lack of progress on his behavior goals, increased SSBs, Student’s new class, new aide, new teacher, new classmates, new academic demands, and District’s offer regarding aide supervision would not meet Student’s unique needs and was not a FAPE. 43. As to her failure to offer input at the May 18, 2010 IEP team meeting, Bhakta offered no explanation at hearing as to why she did not object or provide input about the lack of CSA services in District’s offer. As to the goals, she explained that she had collaborated on goals with Hinton prior to the meeting, but remained silent as to other possible goals because the District’s offer contained a reduction in CSA behavior services. 44. As to supervision hours at school during the 2009-2010 school year, Bhakta recommended that District continue to fund her supervision hours through CSA. However, Bhakta’s testimony on this issue was not persuasive because the evidence demonstrated that continuing to provide school services through CSA was inappropriate. If Student’s in-home program was not provided, then consistency of supervision across home and school environments would not support NPA supervision at school. In addition, Student failed to provide evidence to show Hinton inadequately supervised Student’s aide. On the contrary, as Bhakta testified, she worked well with Student’s aide and with Hinton. 45. At hearing, Bhakta testified that Student’s home program should continue and was necessary to provide Student with a FAPE. In her opinion, the CSA home services gave Hinton more information about Student and more opportunity to collaborate. She explained that what he learned in his home program helped Student generalize and would cross over to the school program. An example of cross over, she explained was the token economy at home a box filled with toys related to the token economy used at school that resulted in reinforcement of purchasing something from the store at school. Bhakta believed that the home program should continue because Student failed to meet his goals for the home-based program. 46. Although Bhakta’s testimony was persuasive on some issues, her opinion that Student required home based services was not supported by the evidence. Student failed to provide any evidence that Student would not make progress on his behavior goals for the 2010-2011 school without the home program. In fact, District witnesses credibly testified that the four new goals proposed by the IEP team for the 2010-2011 school year were school based and not appropriate for a home program. The four goals addressed only Student’s behavior in class as follows: (1) appropriate classroom participation; (2) impulse control in the classroom and on the playground; (3) following a multistep direction in the classroom; and, (4) reduction of self-stimulatory behaviors in the classroom environment. As discussed below, Bhakta also testified that at school, Student’s aide services should be faded to the point where an aide who was unknown to Student and had not even been introduced to Student, should work with him. If, as Bhakta believed, Student’s in-school aide could fade back to the point where the aide was not introduced to him, she offered no plausible justification for why all behavior goals could not be worked on at the school site, with the aide fading back only some of the time. 47. As to the June 23, 2010 IEP regarding a male aide who was not known to Student, Bhakta testified that she recommended Student have an aide unknown to Student because this would facilitate fading and Student’s independence. She suggested that if the aide would be introduced to the entire class, Student would not know that the aide was assigned to him and he would not feel singled out. However, Bhakta’s testimony on this issue was not persuasive because the evidence demonstrated that Student was not ready to fade out aide support. To the contrary, Student continued to need some aide support to provide verbal and nonverbal cues to extinguish his physical, oral and verbal self-stimulatory behaviors. Asking for an aide who was unknown to Student in order to facilitate fading aide support was entirely inconsistent with Bhakta’s testimony that Student also needed increased aide supervision and support. 48. Dr. Lori Williams (Williams) is employed by District as the coordinator of its autism programs. In June 1992, she graduated from Castleton State College in Castleton, Vermont with a bachelor of arts in psychology. In 1995, she received a master of arts in psychology from the University of Akron in Akron, Ohio. In November 2004, she graduated from the California School of Professional Psychology in Los Angeles, California with a doctorate in educational psychology. She holds credentials in pupil personnel and administrative services, and is a nationally certified school psychologist. She is also licensed as an educational psychologist. 49. From 1995 through 2005, Williams was employed as a school psychologist, full inclusion early intervention specialist, and program specialist for a number of school districts. In July 2005, she was employed by District as a program specialist and school psychologist. In July 2007, District promoted her and she became the coordinator of its autism program. As the coordinator of the District’s autism program, Williams’ duties included supervising autism specialists, developing and implementing staff training, attending IEP team meetings, and reviewing students’ programs. She supervised the District’s six autism specialists, including Hinton, and was familiar with their caseload. 51. Williams opined that District’s offer for the 2010-2011 school year of a one-to-one aide, one hour per month of support from a team meeting, and one hour of supervision provided Student a FAPE in the area of behavior. Williams further explained that from September through October 2010, District offered increased autism specialist supervision from one hour to eight hours, and then decreased to one hour a month beginning on November 1, 2010. She testified that Student was offered eight hours of supervision because Student was to attend first grade and his IF required more specialist support at the new grade level. However, Williams was not able to recall the IEP team’s rationale for decreasing the supervision time in November to one hour. 52. At hearing, Williams calculated that Hinton spent at least three hours a month working with Student’s aide on his behavior program. She explained one hour of supervision was offered because she calculated only the time that Hinton delivered a direct service, face to face with Student. She did not include the additional two hours because, although she considered it supervision time, it was indirect time that Hinton spent reviewing and analyzing data, writing reports, attending a monthly clinic meeting, and meeting with Bhakta and Student’s other service providers. Williams’ testimony corroborated that Hinton provided Student with at least three hours of service per month. 53. As to the June 23, 2010 IEP regarding Parent’s request for a new aide, Williams persuasively testified that at the time, Student was not ready to fade his aide services. She opined that even if the new aide was not directly introduced to Student, Student would figure out that the aide was present for him because Student was aware of the aide’s function and aware that the aide recorded data about him and prompted him. 54. As to home-based CSA services, Williams persuasively testified that they were not required to provide Student a FAPE. District’s focus in providing behavior services was to generalize his behaviors in the school setting and not in the home. In addition, at the time of the IEPs in May and June of 2010, the behavior goals that were discussed did not require home-based services in order for Student to access his education and achieve educational benefit. Her testimony was persuasive on this issue, particularly because Student did not present any clear evidence of what the home program entailed, nor convincing expert testimony indicating Student needed on-going support in the home to provide Student with a FAPE. 55. Kristy Becker (Becker) is employed by District as a school psychologist. In June 2003, she graduated from University of California at Los Angeles with a bachelor of arts in psychology and sociology. In 2005, she received a master of arts in school psychology from University of California Irvine. After graduation, she was employed by District as a school psychologist. 56. As a school psychologist, Becker was assigned to Eastbluff three times a week. Some of her duties included assessing students, providing services to students in a SDC classroom, and collecting data for students with behavior support plans. She was familiar with Student because she collaborated with Hinton on Student’s behavior program and attended the monthly clinic meetings. Sometimes Student’s IF asked her questions and she answered questions if Hinton was not present. Student’s data was not her responsibility and to change Student’s program would be collaborative effort. Becker attended Student’s June 23, 2010 IEP, when Parent requested a male aide not known to Student. 57. At hearing Becker opined that a male aide would be assigned to a student who was unable to play, get along with others, and/or exhibited severely inappropriate behavior (i.e., masturbation at school). She observed Student participated in sports, played with peers and his behavior was sexually appropriate. In her opinion, Student did not require a male aide. As to fading, she opined that it was appropriate when an aide’s prompting and redirection of a student was minimal. For example, fading would be recommended when a student had only one behavior goal and did not require facilitation. In her opinion, Student was not ready for his aide to be faded. Becker’s opinion that Student did not require a male aide unknown to Student was persuasive. 58. Under an August 23, 2010 Stay Put Order, Student received the following services during the 2010-2011 school year: (1) a one-to-one ABA-trained District classroom aide for the entire school day; (2) five hours per week of ABA intervention in Student’s home from CSA; (3) eight hours per month of ABA supervision by a CSA supervisor; (4) 10 hours of initial aide training by a CSA supervisor; and (5) two hours per month of clinic training through CSA. 2. Student contends that for the 2010-2011 school year, District offered Student inadequate supervision for Student’s classroom ABA aide. Specifically, Student contends that District’s offer of eight hours of supervision from its autism specialist from September through October 2010, and reduced supervision to one hour a month commencing in November 2010, was inadequate to meet Student’s unique needs and make progress because District failed to consider that: (1) Student failed to make progress during the 2009-2010 school year; (2) the supervision at school was being reduced from nine hours to one; (3) a 30-hour program required more supervision; (4) District’s autism specialist was providing three hours of supervision, an amount above that offered in the IEP; and 5) the supervision should have been provided by an NPA like CSA. 3. District contends that the May 18, 2010 and June 23, 2010 IEPs provided Student a FAPE by offering an appropriate school-based behavior support program that was calculated to confer upon Student educational benefit. District also contends that its offer ensured sufficient support of Student’s ABA aide and classroom teacher, as well as the monitoring of data collection. District further contends that its autism specialist was appropriately trained and qualified to provide supervision services to Student and it was unnecessary and inappropriate for Student to receive supervision from an NPA. 12. Here, based on the information available to the IEP team at the time of the development of the May 18, 2010 and June 23, 2010 IEPs,6 the evidence showed that the District provided a one-to-one aide at school supervised by Bhakta for six hours per month and by Hinton for three hours per month. The IEPs at issue would be in effect for Student when he transitioned to a general education first grade classroom with new students, and thus, supervision would need to include training for a new aide and teacher. As discussed below, although Student demonstrated that the amount of supervision offered was inadequate, Student did not meet his burden of proving that the services had to be provided by an NPA in order to provide him a FAPE. 13. At hearing, neither Williams nor Hinton adequately explained why the District’s offer of one supervision hour was appropriate for the upcoming transition year, when Student had been receiving nine total hours of supervision of the school aide during the 2009-2010 school year. In contrast, Bhakta was persuasive that one hour a month of supervision was not enough to maintain Student’s 30-hour intensive program. She explained that the autism specialist was responsible for directing the IF, devising behavior strategies to extinguish Student’s maladaptive behavior, writing reports, and attending monthly clinic meetings. She opined that Student’s maladaptive behaviors would increase when Student attended first grade, with a new teacher, a more academic curriculum, and a new aide. She concluded that because of Student’s lack of progress on his behavior goals, increased SSBs, Student’s new class, new aide, new teacher, new classmates, and new academic demands, District’s offer regarding aide supervision was not a FAPE. Bhakta’s opinion that Student’s aide needed more than one hour of direct supervision a month was supported by the evidence. 15. Although District tried to explain at hearing that its offer of one hour of District supervision was for “direct” supervision, and that Hinton would be performing additional indirect supervision, this testimony did not explain why more than one hour was not offered. The fact that Hinton provided a combined total of more than one hour of supervision, whether direct or indirect, demonstrates that an offer of one hour of supervision was inadequate. In other words, because Hinton spent three hours a month supervising Student’s in-school behavior program, and Bhakta spent six hours a month supervising the in-school behavior program, it is reasonable to conclude that District’s offer of one hour of supervision a month would not meet Student’s unique needs absent evidence to the contrary. No such evidence was offered. Instead, given the impending transition to first grade and Student’s partial attainment of some behavior goals, Student should have been offered inschool supervision of the ABA aide at the same level as provided in the 2009-2010 school year. 16. However, Student did not meet his burden of proving that the services had to be provided by an NPA in order to provide him a FAPE. As further discussed in Legal Conclusions 22 through 27, Student’s in-home behavior program provided by CSA was not required for Student to receive educational benefit. Thus, Student’s argument that District must continue to offer NPA supervision of its IF to provide consistency across environments was not supported by the evidence. In addition, Student failed to provide evidence to show that Hinton’s supervision was inadequate. On the contrary, Hinton worked well with Student’s aide and with Bhakta. 18. Student contends that the May 18, 2010 and June 23, 2010 IEP offer denied Student a FAPE because the in-school ABA services that were offered did not specify a male aide unknown to Student. Student asserts that only a male aide whom he had not met before could: facilitate fading and independence; address his behavior in the restroom; and facilitate Student’s interaction with his male peers. District contends that Student’s ability to be provided with FAPE was not contingent on the gender of the aide assigned to him or keeping the aide’s identification unknown to Student. As discussed below, Student failed to meet his burden of proof on this issue. 19. Legal Conclusions 1 through 11 are incorporated by reference. 20. Here, as of the June 23, 2010 IEP, the District IEP team members agreed based on their experience with Student that he was not ready to have the in-school behavior aide faded, and that the aide should be identified to Student because Student needed redirection from the aide. Although Bhakta believed that an unknown aide would foster Student’s independence, her testimony on this issue was not persuasive because fading inschool aide services was inconsistent with her opinion that Student required more in-school supervision and a home behavior program. In contrast, the explanation offered by Williams, that Student should be introduced to his aide based on his need for support and that Student would ultimately be aware of the aide, was reasonable. 22. Student also contends that the May 18, 2010 IEP offer denied Student a FAPE because it offered no home-based behavior support services. Student asserts that in order to remediate those deficits that cannot be addressed solely in the classroom setting, he was entitled to home-based behavior support services by a qualified full time one-to-one aide supervised by an NPA like CSA. District contends that it offered Student a FAPE, even though the May 18, 2010 IEP did not include a home-based behavior support program implemented by an NPA like CSA. As discussed below, Student failed to meet his burden of proof on this issue. 23. Legal Conclusions 1 through 11 are incorporated by reference. 24. The testimony of Bhakta and Parent concerning Student’s continued need for home-based behavior support services was not persuasive. Student did not present clear evidence of what type of services CSA provided Student at home, and how those services were necessary in order for Student to receive some educational benefit within the meaning of Rowley. This is particularly true where Bhakta and Parent both testified to a belief that the school aide should fade back from Student. In other words, while it appears Bhakta and Parent preferred one-to-one aide services at home, with the aide faded at school, they did not present evidence as to why it denied Student a FAPE to have all aide services at school. Student failed to present any assessments, studies or convincing expert testimony indicating Student needed on-going support in the home to provide Student with a FAPE. 25. In contrast, District plausibly explained at hearing through the testimony of Williams and Hinton that the focus of the behavior services in the IEP was for Student to improve upon and generalize positive behaviors in school. The proposed behavior goals, the propriety of which is not at issue in this hearing, did not require home-based services to implement. Based upon Williams’ observations, review of the data and reports upon which she relied in developing the behavior goal, her opinion that Student did not presently require home-based services to access his education and achieve educational benefit was persuasive. 28. As discussed above, Student met his burden of proving that the District denied him a FAPE in the May 18, 2010 and June 23, 2010 IEPs because it failed to offer sufficient supervision of Student’s in-school one-to-one ABA aide and program. However, Student was not denied a FAPE because the District did not provide an unknown male aide or because no home program was offered. In his closing argument, Student contends, based on all alleged issues, that he should be awarded the following to be continued through the 20112012 school year: five hours a week of home-based CSA services; eight hours per month of CSA supervision; 10 hours a month of initial aide training; and two hours per month of clinic training through CSA provided at home and at school. Student did not address what amount of supervision would be required should he only prevail on Issue One. District contends that because Student received aide support and behavior services provided by CSA under “stay put” while this hearing was pending that Student is not entitled to further relief. 30. Here, for the 2010-2011 school year, Student received and District funded Student’s services pursuant to a Stay Put Order issued on August 19, 2010 by OAH. Pursuant to the Order, District funded the following services: (1) one-to-one Applied Behavior Analysis (ABA)-trained classroom aide employed by District for Student’s entire school day; (2) five hours per week of ABA intervention in Student’s home from CSA; (3) eight hours per month of ABA supervision by a CSA supervisor; (4) 10 hours of initial aide training by a CSA supervisor; and, two hours per month of clinic training through CSA. In addition, Hinton supervised Student’s in-school program up to three hours a month, consisting of one hour of direct service and two hours of indirect services. Although Student should have been offered more supervision services in the IEP dated May 18, 2010, for the 2010-2011 school year, he was not harmed in any way because he actually received more services than he would have been entitled to under the IEP by virtue of stay put. Considering that Student was not denied a FAPE by the lack of a home program or NPA services, he has failed to demonstrate why he should prospectively be awarded such services for the 20112012 school year. 1. Student’s May 18, 2010 IEP is amended to reflect that Student was entitled to eight hours a month of District aide supervision to support Student’s in-school behavior program. 2. Student’s requests for all other relief are denied. Education Code section 56507, subdivision (d), requires that this Decision indicate the extent to which each party prevailed on each issue heard and decided in this due process matter. Pursuant to this mandate, it is determined that Student prevailed on Issue One and District prevailed on Issues Two and Three.